Planting eucalyptus forests has become an important agricultural activity in Paraguay. Large areas are cultivated for charcoal, cellulose and home construction material. Currently, eucalyptus forests represent 93% of planted forests in the country (MAG, 2009). Bacterial wilt, caused by Ralstonia solanacearum, is a major disease of eucalyptus and was first reported on this host in Brazil in 1983 (Sudo et al., 1983). Crop losses that average 30 to 40% are frequently reported after initial outbreak reports. In March 2011, eucalyptus trees with typical symptoms of bacterial wilt were observed in Caaguazú and San Pedro states, located in the Central and Northern regions of Paraguay, respectively. Plants were wilted and foliar necrosis or defoliation of the lower portion of the canopy was common. Transverse sections of the trunk revealed browning of the xylem vessels forming dark rings (Fig. 1). On Kelman's medium (Kelman, 1954), colonies of white colour, elevated and of fluidal aspect resulted from the isolation of the pathogen from diseased tissues (Fig. 2). The isolated bacterium was Gram-negative, grew aerobically and did not form endospores. Cells utilised trehalose and dextrose. Based on PCR amplification using the universal bacterial 16S rDNA primer set E8F/E1541R (Baker et al., 2003) a single amplicon was obtained and the PCR product was sequenced (GenBank Accession No. KF006342) and exhibited 99% identity over 1096 bp with other sequences of R. solanacearum in GenBank. Based on all tests, isolates were identified as R. solanacearum. Additional characterisation with the 759/760 primer set (Opina et al., 1997) amplified a 280 bp fragment typical of R. solanacearum and when the multiplex PCR analysis was carried out (Fegan & Prior, 2005) the bacterium was identified as R. solanacearum Phylotype II. Koch’s postulates were conducted under greenhouse conditions (~25°C), by inoculating five plants each of Eucalyptus grandis, Solanum lycopersicum, S. tuberosum and Musa spp. Plants were inoculated with 20 μl of a cell suspension containing 107 to 108 cfu/ml deposited into the leaf axilla with a syringe. Wilt occurred in eucalyptus, tomato and potato plants after three days, but no symptoms developed in banana plants. Bacterial colonies with similar characteristic of R. solanacearum were re-isolated from symptomatic plants. To our knowledge, this is the first report of eucalyptus bacterial wilt in Paraguay and serves as a warning to other properties in the country and in South America. 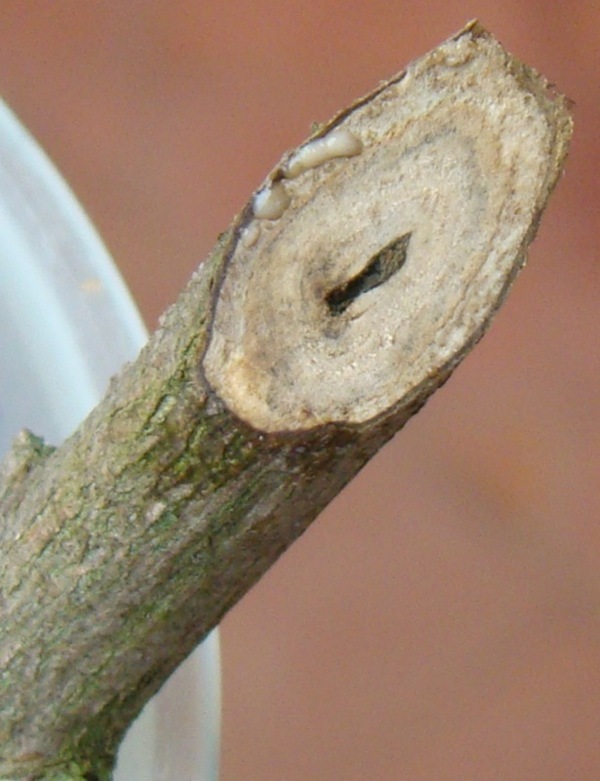 Figure 1: Dark ring of plant tissue from infected eucalyptus in Paraguay. Figure 2: Colony morphology of bacteria isolated and growing on Kelman’s medium. The authors acknowledge the financial support provided by FAPEMIG and CNPq funding agencies. Fegan M, Prior P, 2005. How complex is the 'Ralstonia solanacearum' species complex? In: Allen C, Prior P, Hayward AC, eds. Bacterial Wilt: The Disease and the Ralstonia solanacearum Species Complex. St. Paul, MN, USA: American Phytopathological Society, 449-461. Kelman A, 1954. 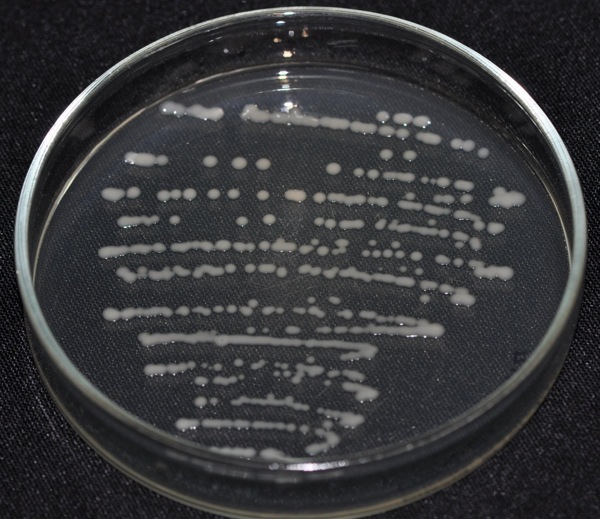 The relationship of pathogenicity in Pseudomonas solanacearum to colony appearance on a tetrazolium medium. Phytopathology 44, 693-695. Opina N, Tavner F, Hollway G, Wang JF, Li TH, Maghirang R, Fegan M, Hayward AC, Krishnapillai V, Hong WF, Holloway BW, Timmis JN, 1997. A novel method for development of species- and strain-specific DNA probes and PCR primers for identifying Burkholderia solanacearum (formerly Pseudomonas solanacearum). Asia-Pacific Journal of Molecular Biology and Biotechnology 5, 19-30. Sudo S, Oliveira GHN, Pereira AC, 1983. Eucalipto (Eucalyptus sp.) e bracatinga (Mimosa scabrella), novos hospedeiros de Pseudomonas solanacearum E.F. Smith. Fitopatologia Brasileira 8, 631 (Abstract).